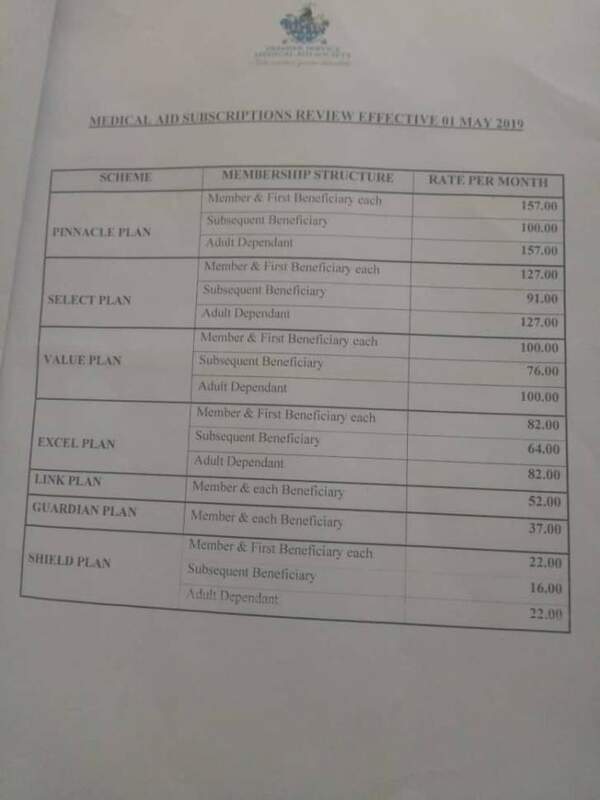 The country's largest medical aid society by subscriber base, Premier Service Medical Aid Society (PSMAS) has reviewed its subscription fees upwards beginning 1 May 2019. In a circular issued by the institution Shield Plan will now cost $22 and Value Plan $100 while Pinnacle Plan will be $157. Prices of various commodities and services have been going up in the country since 2018.